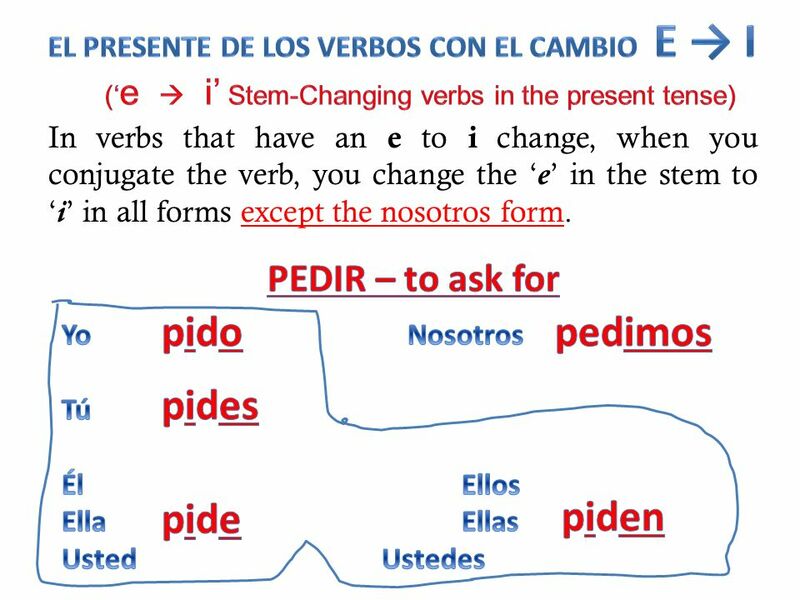 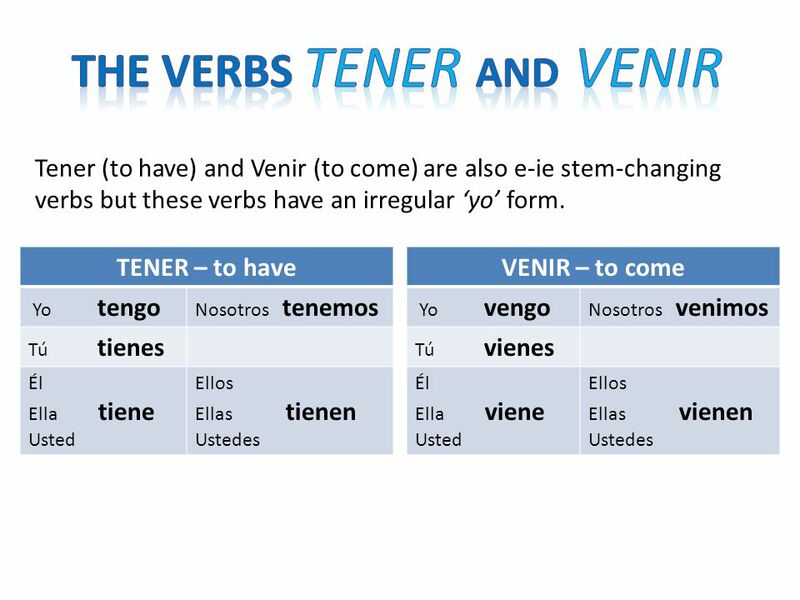 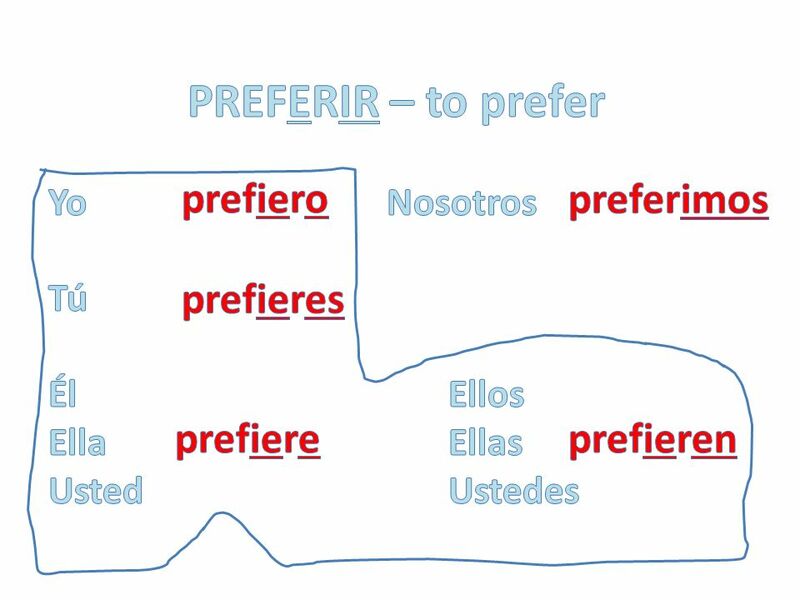 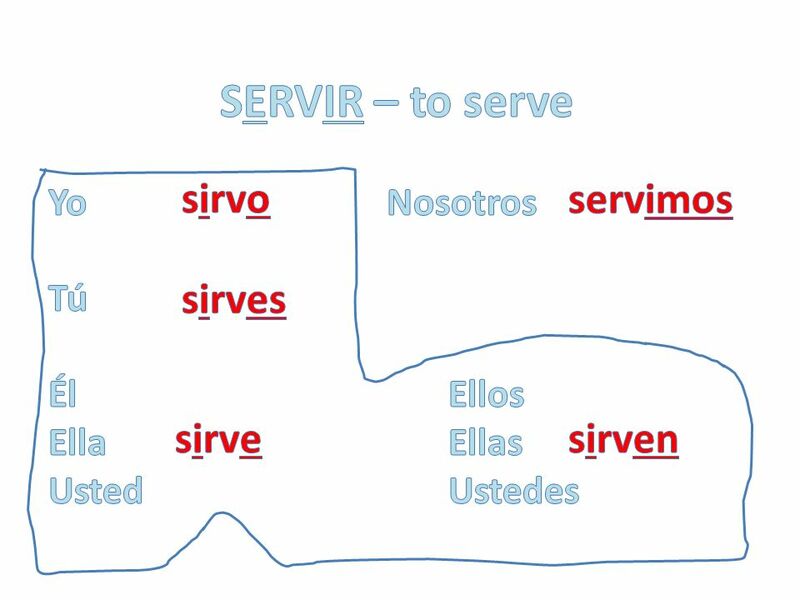 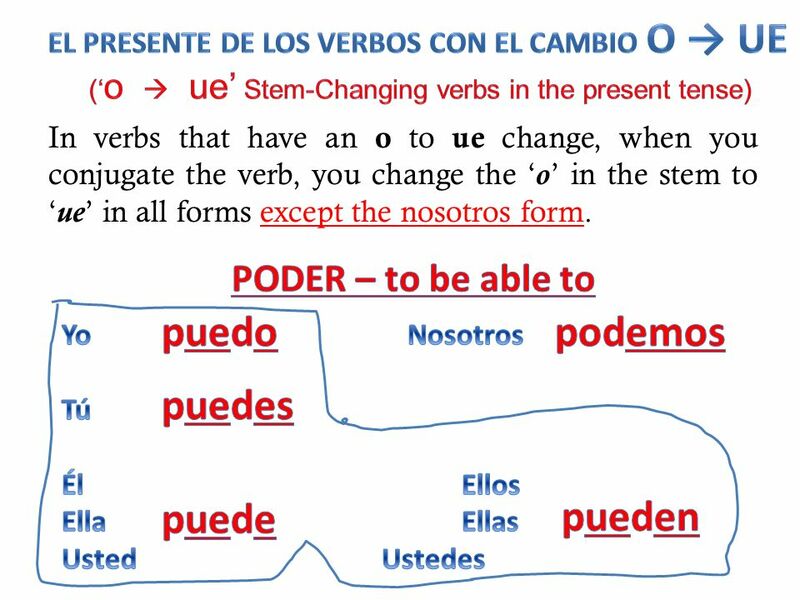 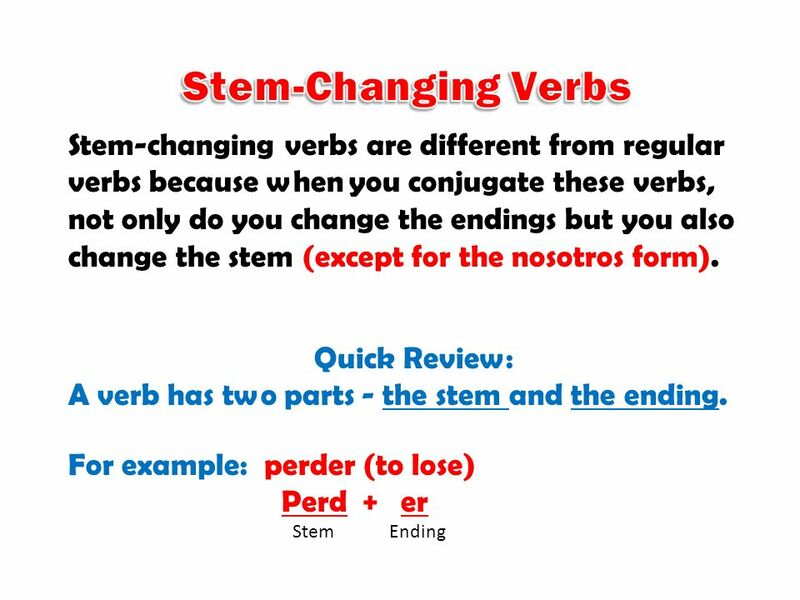 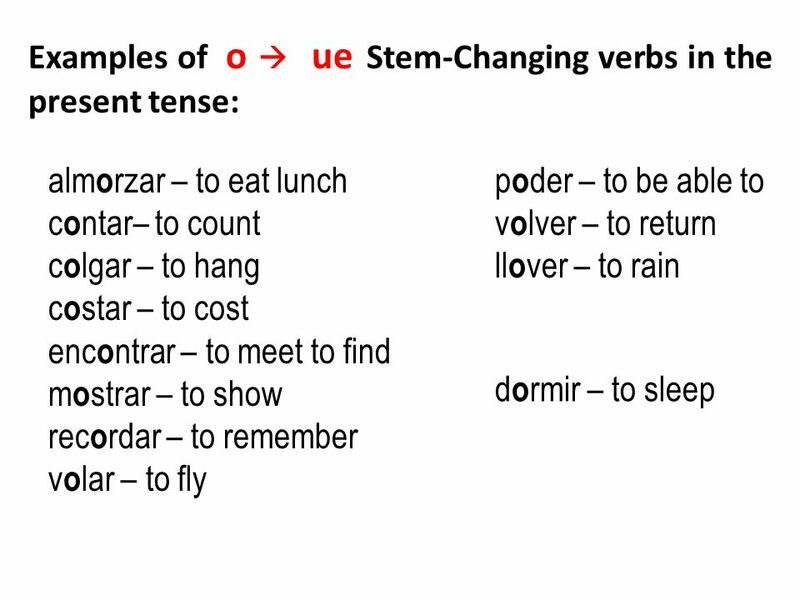 Descargar ppt "STEM-CHANGING VERBS IN THE PRESENT TENSE"
Tener To have. 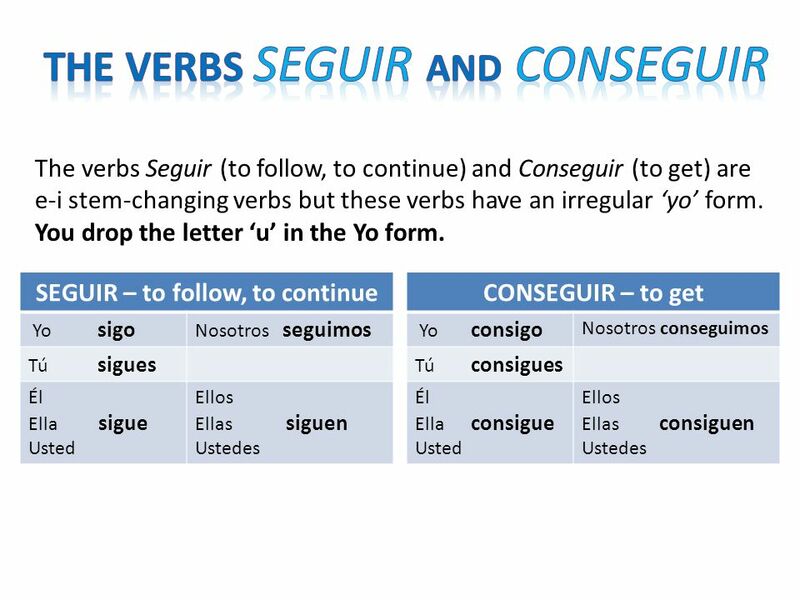 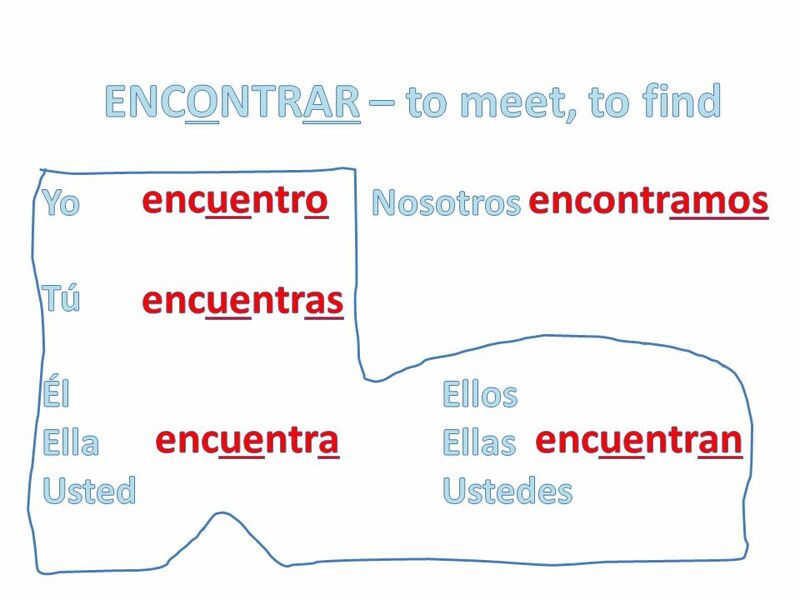 Review - Conjugations Yo tengo Tú tienes Él/ella/usted tiene Nosotros tenemos Vosotros tenéis Ellos/ellas/uds tienen. 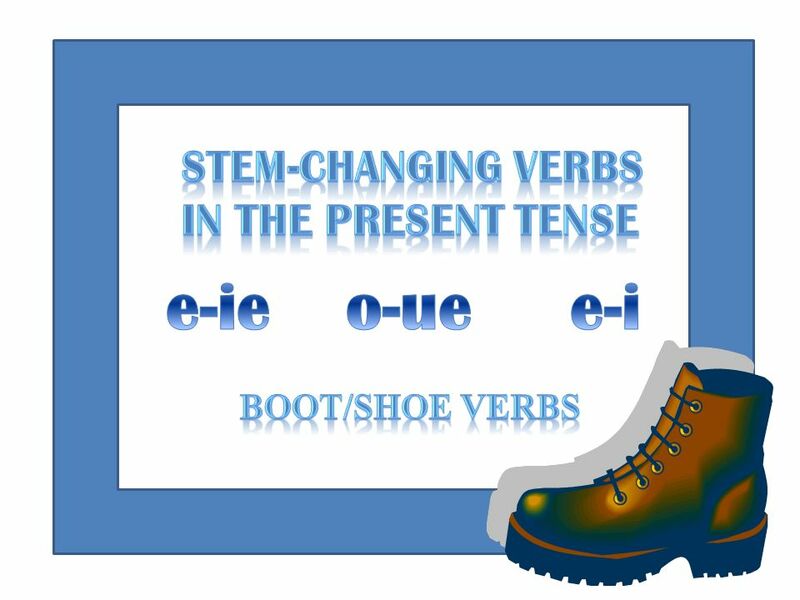 Stem-changing verbs E-IE O-UE E-I. Espanol 1. 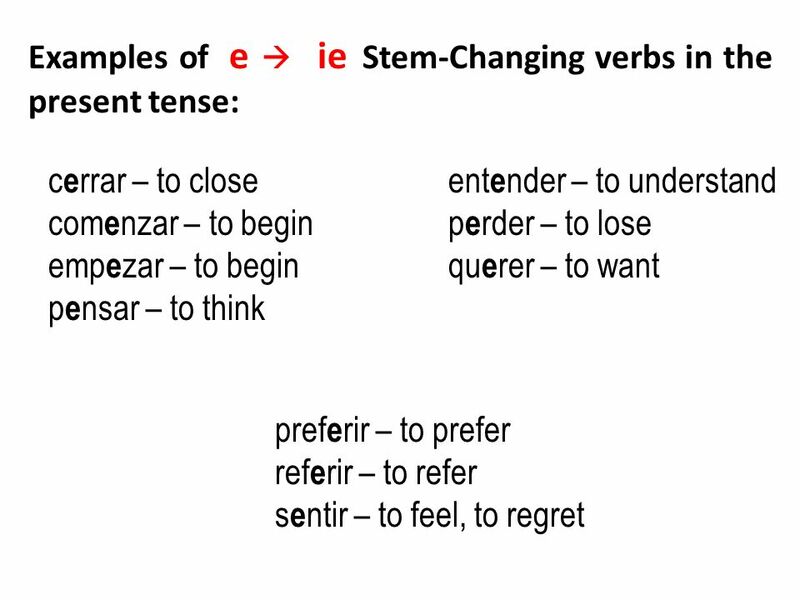 - Have a spelling change at the stem of the word. 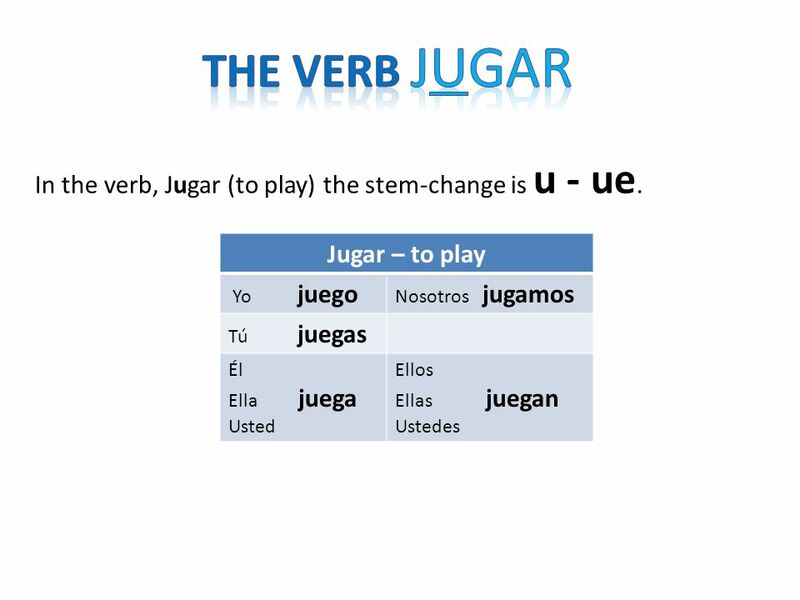 - A verb can change e  ie, o  ue, u  ue or e  i. 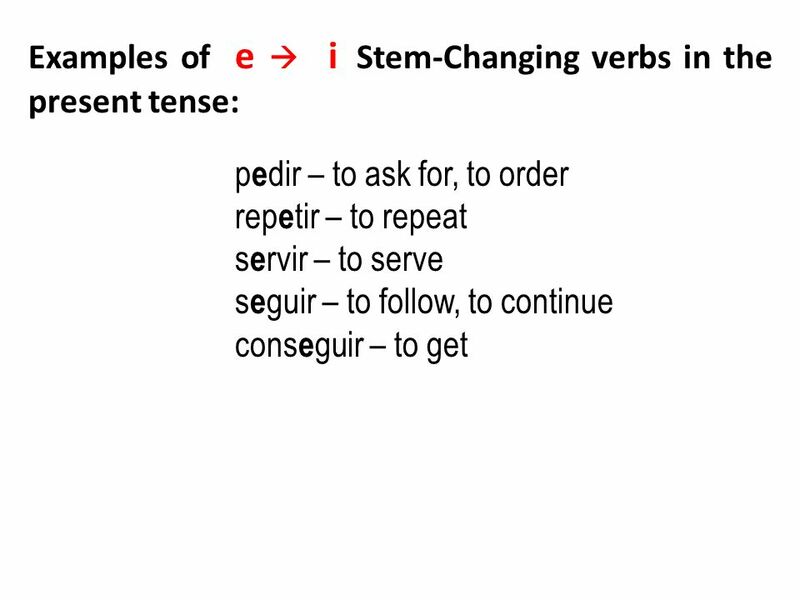 - The vowel with a spelling change is.